U.S. Energy Secretary Rick Perry recently called for a report on the dependability of our electricity grid to ensure it continues to provide Americans with the power they’ve come to expect. A dependable electrical grid is essential across all industries, but especially for manufacturing and fuel production. The significant changes in how the U.S. generates its power is greatly tied to the Marcellus shale gas boom within the past ten years. The affordable, plentiful supply of natural gas from the shale formation in Pennsylvania, Ohio, West Virginia and New York lessened U.S. dependence on imported gas and, in part, marginalized coal and nuclear power plants. 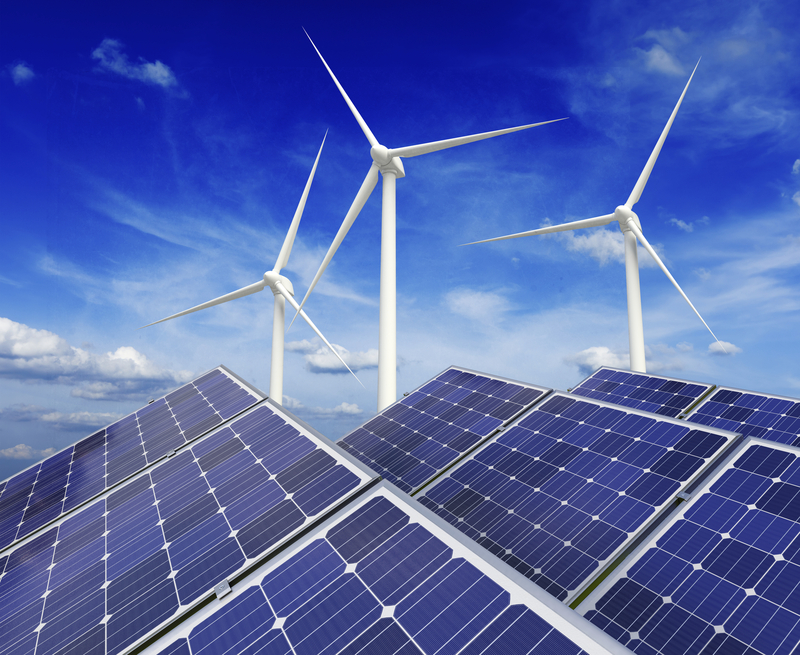 The use of wind and solar power continues to rise, too. The U.S. electricity system is a complex network of power plants, transmission and distribution wires, and electricity consumers, and ensuring it remains reliable will be no easy task. As we wait for the study to shed light on the grid’s dependability now — and in years to come — modernization efforts continue and integrate new technologies with the existing grid infrastructure. Central Metal Fabricators is an industry leader in the production of silencers for exhaust stacks, inlet stacks, and enclosures. We also supply exhaust plenums, filtration systems, enclosure panels and doors, exhaust diffusers, turning vanes, vandal-rain-snow roof/guards, exhaust stack eductor assemblies, and acoustical-thermal panels, turbulators and turning vanes. Let us help you with your gas turbine silencing needs. Contact us today, and follow our blog, as well as connecting with us on Twitter and LinkedIn. The annual National Manufacturing Day is the first Friday of October, so mark your calendars for Friday, October 6th, 2017. The initiative brings together manufacturers and communities in an educational way to address common industry issues. 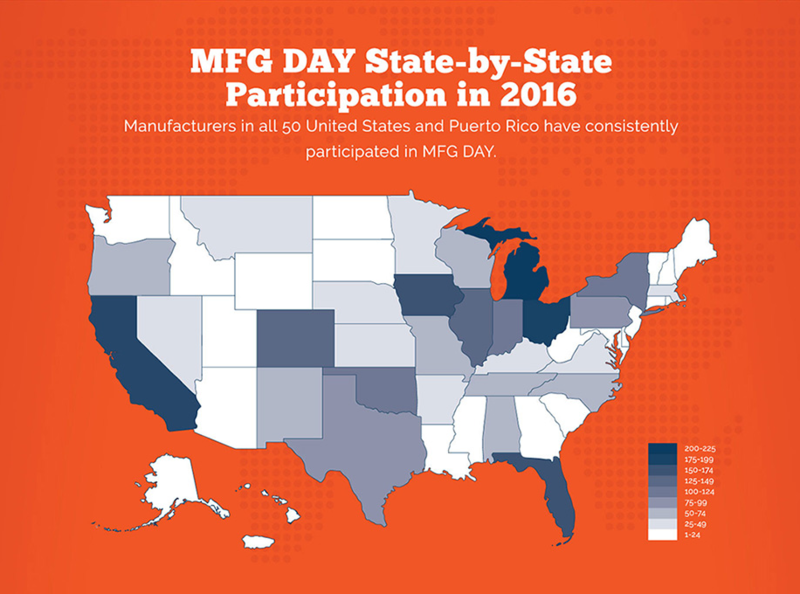 MFG DAY events near you are listed on the site for interested personnel such as students, educators, media, politicians, and businessmen alike. Although manufacturing is key to the economy, it still has its share of disputes. Current concerns being addressed are the manufacturing skills gap, public misconceptions about the industry, the amount of male versus female workers in the field, and the outsourcing of jobs overseas for cheaper labor. National Manufacturing Day is one of the biggest initiatives supporting methods to overcome each hurdle. During both public and invitation-only visits, manufacturers have the opportunity to dissolve any myths about the manufacturing industry. Common misconceptions include dirty shop floors and low-paying positions, but today’s industry happens to be quite the opposite. Step foot inside a facility and you will see that today’s manufacturing industry means technological advancements, STEM skills, secure job placement and benefits, as well as economic benefits across the country and across the globe. The manufacturing sector has grown faster than the rest of the U.S. economy since the recession that ended in 2010. Manufacturing significantly impacts today’s economy, spurring economic growth, as well as encouraging innovation with its technological improvements in machinery. Plus, services are dependent on manufactured items. Let’s not forget that manufacturing creates employment too. Central Metal Fabricators supports each National Manufacturing Day initiative, including bridging the skills gap, supporting male and female student proficiencies in STEM (Science, Technology, Engineering, and Math), and encouraging reshoring of manufacturing activities. For more information continue to follow our updates via Twitter, LinkedIn, and company blog. Central Metal Fabricators has been a leading designer and manufacturer of gas turbine silencing equipment in the U.S. for more than half a century. Our gas turbine and utility parts such as hoppers, bus bars, boiler panels, and tanks are top quality. Our team works efficiently to fit within your project timelines. To discuss how we can help your company initiatives, please contact us today. 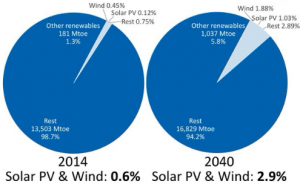 What are the future expectations of wind and solar energy for supplying global power? Here at Central Metal Fabricators, we fabricate, assemble, and install gas turbine silencing equipment and associated metal items. Our panel of industry experts delve into the matter below, and the findings might surprise you. As per data from the International Energy Agency (IEA), wind and solar power will generate more of the world’s energy by 2040 than it does today. But, while primary energy demand (TPED) renewables, which includes solar and wind, have higher usage than 1990, it likely amounts to less than you imagine. In 2014, solar cells or photovoltaic (PV) cells and wind contributed a meager 0.6% of total global energy. Fast forward to 2040 and this number increases, but only to 2.9%. Respectively, coal, oil, and gas will continue to dominate as the top three energy power sources around the world. Plus, the IEA prediction assumes that every country complies with the Paris Agreement on climate change. The US is currently not in the climate accord, and compliance is not likely to be gained by every other country, so the IEA’s estimate of less than 3% is likely more than it will be come 23 years from now. Natural gas will grow faster as an energy resource than any other TPED, accounting for 25 percent of global demand by 2040, based on projections by a recent ExxonMobil report. This will be less than oil, which will be the biggest resource, providing about 32% of the world’s energy, and more than nuclear power at 7%. While renewable energy sources, such as solar and wind will grow over the next few decades, its development will be considerably slower than the rate and volume of natural gas. Regarding the above, you have an idea of the world’s energy picture for the near future, including only about 3% renewables. Understanding the energy supply for Central Metal Fabricators and many other industrial manufacturers is important so that we use the sources wisely to craft optimal products and plan for the future. Internally, we manufacture an array of industrial products including dampers for gas turbines, boiler casings, steel hoppers, and busbars. Our top quality engineering design service replacement parts, gas metal arc welding, flux core arc welding, and more. Stay on top of relevant trends by following us on our blog, Twitter, and LinkedIn. Be sure to contact us to place your next industrial product order or if you have any questions. 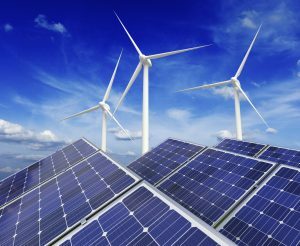 As renewable energy sources, namely solar and wind energy, increase in popularity, many manufacturers are wondering where this leaves them. As an industry, manufacturing is a large energy consumer. The paramount worry for many in the field is that their own energy sources will be siphoned off by grid operators when solar and wind drop short of expectations. The unreliable true nature of renewables is an unfortunate reality; if it is not a sunny or windy day, then neither energy source is strong. From a manufacturing standpoint, the growing number of large-scale solar and wind facilities makes for an unreliable grid and reduces power quality, all of which are worrisome because they can equate with safety and reliability issues at the manufacturing site. These risks lay squarely on the shoulders of the energy consumers, with some of the biggest being manufacturers. While the eco-friendly nature of solar and wind as power sources are plentiful, there are issues with adopting them across the board. Recently, the Industrial Energy Consumers of America (IECA) spoke to the Washington Examiner. As per IECA CEO and President Paul Cicio, “Industrials are not in the business of generating and selling power. We are in the business of producing manufactured products.” Cicio adds that manufacturers cannot meet internal demands for power or steam if they act like a consumer power plant. It is the Federal Energy Regulatory Commission (FERC), federally chartered regional transmission organizations, and self-regulating system engineers of these markets that look over the issues. But the FERC’s latest Primary Frequency Response notice of proposed rulemaking will likely only serve to exacerbate the problems and put more responsibility on manufacturers. Unfortunately, utility operators and mechanics often do not have in-depth experience of manufacturing processes, thus not understanding the reliability that is vital for manufacturers. Currently, the North American Electric Reliability Corporation is assessing the situation based on manufacturers’ grievances and any changes will occur through the standards design process. As a leading manufacturer of gas turbine silencing equipment, it is our responsibility to bring awareness to various circumstances that influence the manufacturing industry. 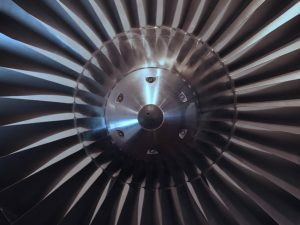 Here at Central Metal Fabricators, our experts will continue to keep you abreast of developments as we fabricate, assemble, and install top-quality gas turbine silencing equipment and related metal products. Contact us today for your next order, and follow our blog, as well as connecting on Twitter and LinkedIn. In an effort to save customers millions of dollars long term, Florida Power & Light recently announced they will be opening eight new solar-energy plants by early 2018. These new plants should combine to create almost 600 megawatts of power, which is enough to provide power to approximately 120,000 homes during peak demand time. Green Tech Media predicts an increase of 1900 percent in the solar power production capacity of the state over the next five years. Due to its geographic location, the amount of sunlight Florida receives makes solar energy a sound bet for the state. Florida Power & Light has already brought the Manatee Solar Energy Center, the Babcock Ranch Solar Energy Center in Charlotte County and the Citrus Solar Energy Center in DeSoto County to add to the electric supply grid in an effort to take advantage of this. The newly created 8 facilities will be able to take the load of about 120,000 families off the conventional production cycles if they operate optimally. This is a big help for the state and offers improved power stability for the consumers. Construction of these new plants will also provide jobs to the region as construction is expected to be done quickly. While natural gas will still be used to provide the bulk of energy for the state, this is an opportunity to diversify the fuel sources used. Alachua, Putnam and DeSoto counties have already been picked as final sites for four of the new plants. The locations of the additional new solar power plants have not yet been revealed but are being built now because new solar facilities are cost effective. At Central Metal Fabricators, we are a market leader for gas turbine silencers and components since 1948. For more information please contact us here. Focused on providing quality turbine silencing equipment designed from scratch or retrofitted to comply with modern needs, Central Metal Fabricators boasts a stringent quality assurance program that respects the stipulations of both ANSI N45.2 and MIL-I-45208A. Our welders are A.W.S certified and qualified which offers a plethora of benefits to our customers. This century-old institution is dedicated to advancing the science and technology of welding and allied joining procedures. As a result of this rigorous instruction, Central Metal Fabricators work force processes customer requirements, creates solutions that are effective silencers for a number of turbine environments and turns around deliverables in a very short period of time by working smartly and efficiently. Each year in April the American Welding Society celebrates National Welding Month to recognize and reflect on the impact that welding has around the country. The goal of this celebration is to call attention to how important welding is, as well as promoting the many opportunities that are available in the industry. 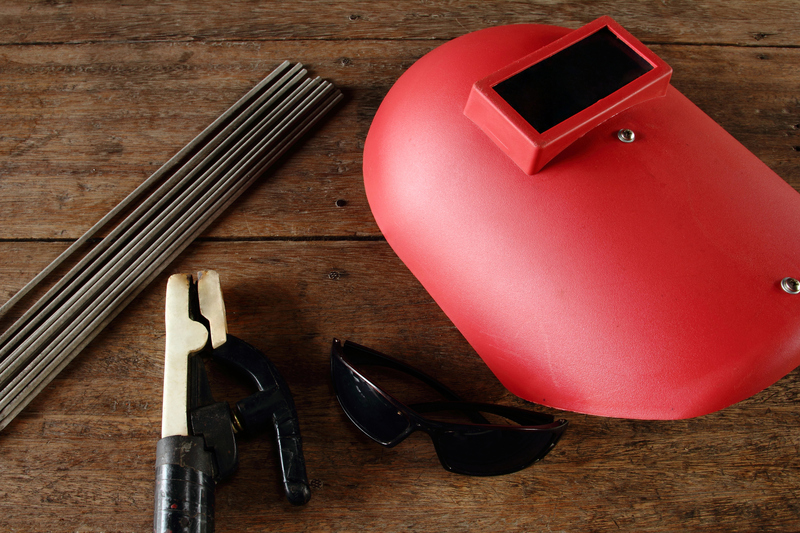 By 2020 there is expected to be a shortage of over 200,000 skilled welding professionals, creating a real demand for the next generation of welders. At Central Metal Fabricators we understand the importance of welding and are proud to be a part of this industry. For more information on the services, Central Metal Fabricators offers, please contact us. Although turbine engines create energy in an efficient way, along with the energy comes a lot of noise; noise so loud, if not properly diminished, could kill a person. Hearing loud noises repeatedly, even if not at a level to kill, can cause ear damage, both short term and permanent. To prevent noise levels from being dangerous, mufflers must be used to protect anyone working nearby. 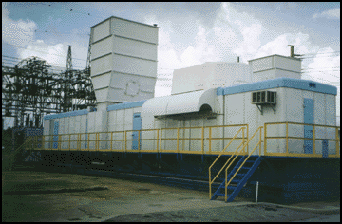 A gas turbine silencer is a type of muffler for industrial turbines. Turbines engines work by forcing air through compressors, which is then typically separated into two sections. One section goes on to cool the engine while another section is sent to a combustion chamber. In this latter section, the chemical energy that has been created converts to mechanical energy. The air then expands and forces its way out. When the air is recombined, it cools down prior to getting to the first initial turbine set. Then, the turbine is able to convert the airflow from mechanical (or rotating) energy into electrical energy. The exhaust from this process creates the majority of the noise, which comes out of the huge muffler. If there isn’t a gas turbine silencer in place to absorb the noise, anyone working in the vicinity could get serious ear damage, leading to long term hearing loss. In addition to lowering the chance of harm to employees working nearby or doing routine maintenance, the gas turbine silencer is also able to accommodate intense heat up to 1,200° F. Due to the gas turbine silencer, employees can safely work next to turbines without fear of harming their hearing or working near high temperatures. At Central Metal Fabricators, we understand just how to keep your employees safe. Our extensive line of gas turbine silencers, exhaust stacks, inlet stacks, enclosures, and components are state of the art equipment designed to meet your needs. We also offer gas turbine silencer services for design, fabrication, replacement, and tech support. We invite you to follow our blog, connect with us on Twitter, or follow us on LinkedIn to keep up to date on news in the gas turbine silencers industry and other things impacting Central Metal Fabricators. The use of gas turbines has increased over the past few years. The global preoccupation with lower maintenance costs of power generation equipment and processes that do not adversely impact the environment have dictated the shift from reciprocating engines to gas turbines. According to Lucintel, the global gas turbine market for power generation will touch a whopping $13.2 billion by 2021 and will continue to grow at a compounded average of 3.3% per year. Why are Gas Turbines Preferred? Gas turbines are turbomachines that have high power to weight ratio. They can be much smaller in size than other engines are capable of producing the same level of output. They also happen to be scalable in terms of the basic technology. This is the reason why gas turbines can run the gamut from ones that generate around 38 kW of power to large industrial structures. The working fluid of choice is air. It is compressed at the inlet, mixed with the fuel and fired to create a heated flow that can then operate the rotor and electromagnet assembly for the desired output of electricity. A gas turbine as a result produces minimal hazardous wastes. Most of the heated air is reused to drive the compression unit and the rest that is exhausted into the atmosphere doesn’t really contribute to environmental degradation because of complete combustion and low CO emission levels. Gas turbines can work with a wide choice of fuels and fluids. They require lower pressures and thus the structures can be less robust than alternative engines. The output speed is high. But thanks to fewer moving parts the wear and tear and the cost of lubrication are both moderate. In a fast paced economy that demands power but is veering towards the sustainable approach, gas turbines fill a void. Over the next few years innovations in the industry will drive sales for the 61-180 MW and more than 180 MW output variants. Central Metal Fabricators has been an industry leader in the production of silencers for exhaust stacks, inlet stacks and enclosures. We also supply exhaust plenums, filtration systems, enclosure panels & doors, exhaust diffusers, turning vanes, vandal-rain-snow roof/guards, exhaust stack eductor assemblies, and acoustical-thermal panels, turbulators and turning vanes. For the latest company news and information follow us on Twitter and LinkedIn. Although wind and solar have been promoted as environmentally friendly, especially when compared to fossil fuels, they certainly don’t come without a price. Take for example a solar energy plant. Once in place, a solar energy plant has relatively little impact on the environment, but the problem comes from what it takes to build that solar energy plant. Photovoltaic cells which are used for solar are made out of silicon. Although silicon is abundant in the Earth’s crust, it takes a large amount of electricity to create the cells. So in order to create solar energy, fossil fuels must be used. In addition, to make these cells from raw silicon takes the use of many corrosive and toxic materials. When used, these materials can emit harmful gasses into the air. While some of the chemicals it takes to create PV cells are recyclable, many companies opt not to recycle them due to the cost of the recycling. There are also concerns about the wastewater production that is left behind and a few companies have opted to dump the water instead of treating it properly, which takes more money. The wastewater is damaging to the environment and can be associated with health concerns. Some companies are moving their production to Iceland, an island abundant in geothermal and hydroelectric power. So not only is it cheaper to produce the PV cells, but it requires about one-third of the energy when produced in Iceland. While this is a good start, there is still a long way to go. When it comes to wind energy, although it does have an impact, that impact is much less than solar. What concerns many environmental groups is the impact wind turbines have on migratory birds and bats. 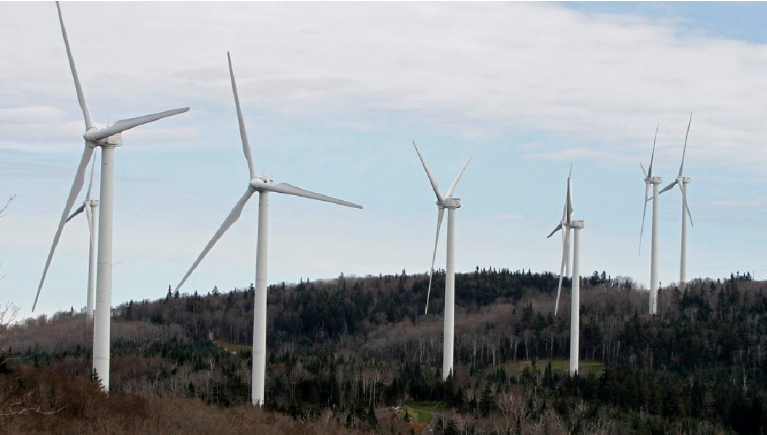 The turbines are killing birds and bats, and in some locations, and some estimates say they are killing thousands each year. Many of these deaths are due to poor planning of the wind farms, such as by putting too many turbines close together. When it comes to gas turbine silencers, equipment, and service, Central Metal Fabricators understands the needs of its customers. Turbine silencers help to curb noise pollution in turbines in an effort to comply with local or state guidelines on noise for safety and health reasons. At Central Metal Fabricators we invite you to contact us to discuss your metal fabricating needs and to learn more about our turbine silencers. Although we don’t hear much about construction of new coal-fired power stations but that doesn’t mean they don’t exist. New plants are being built and are expected to meet up-to-date specifications and requirements. That’s what the owners of the Longview Power Plant expected when their new plant came on-line in 2011. Unfortunately, the plant had some serious design errors which needed immediate remediation. One of the first repairs needed was the boiler tubing which was constructed from T23 and T24 materials. The boiler nose arch on the unit—a first-of-a-kind once-through BENSON low mass flux vertical tube advanced supercritical design—was a weak link. The design was unstable and the T23 material leaked. To fix it, a nose arch made from T22 with an Inconel overlay was constructed and the results were positive. Vibration issues were also a problem. The plant was running a Siemens SST6-6000 steam turbine and an SGen6-3000W generator. While the turbine functioned flawlessly, the generator suffered vibration issues and excessive hydrogen leaking through the seals. Siemens overhauled the generator and improved the foundation which resulted in acceptable vibration readings and hydrogen leakage. The air quality control system was sized incorrectly and not working properly to remove particulates. After modifications and additions the system began operating at 99.5%. The company also replaced the distributed control system which brought about significant improvements. These changes have turned Longview into the most efficient coal-fired power plant in the U.S. and a model of excellence. The technology utilized at Longview may lead to a future energy plan that includes coal generation as a viable energy source. Full details on the Longview rehabilitation project can be found here.